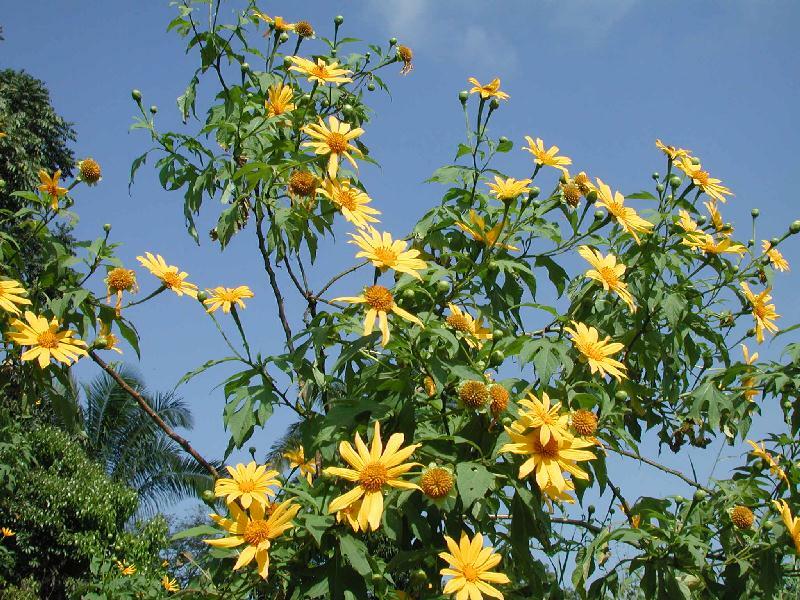 Have you noticed the abundant yellow flowers growing up the steep slopes that were once banana plantations at Korora and other places along the Coffs coast? Well today was that day. At the Orara Valley Fair it seemed to be an opportune time to visit the Coffs Harbour Landcare information booth to ask about this plant. 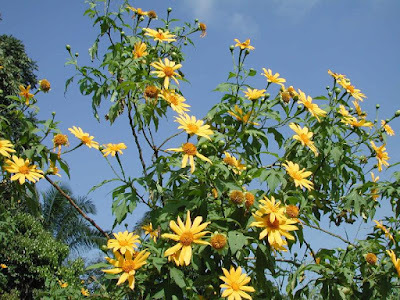 The Japanese Sunflower has it's origins from Central America, with sunflower-like heads up to 10cm across, with orange-yellow peals 4-5cm long. The seeds are hairy with a ring of scales and two spines. This plant is a weed on the Coffs Coast and can be dug out or chipped, where infestations are small. Otherwise spray with metsulfuron-methyl at 1g/10l with surfactant. 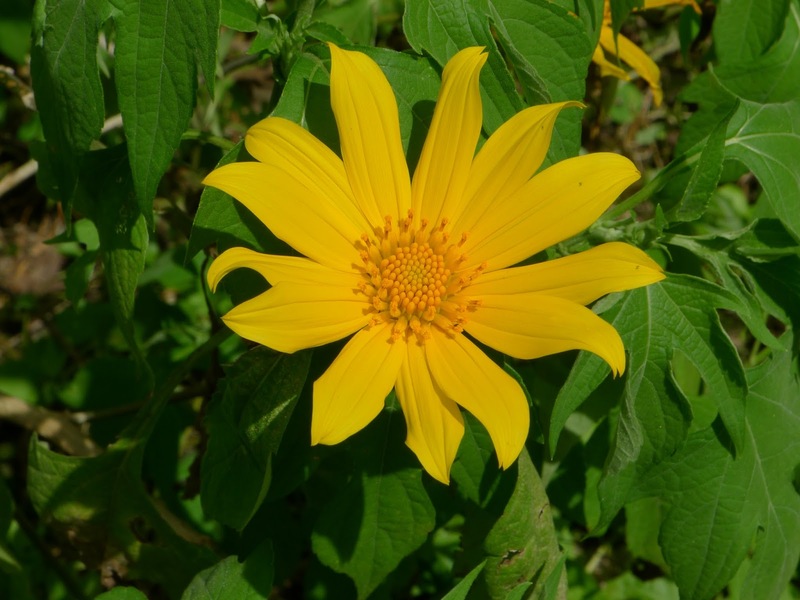 Even though the Japanese Sunflower is a weed that grows quickly, it has shown great potential in raising soil fertility in soil depleted in nutrients (nitrogen, phosphorus and potassium) to increase plant yields. So now, both you and I have the 'gen' on those showy yellow flowers growing on the slopes around Coffs.